Took the 8am ‘Downeaster’ from Portland to Boston. Then struggled to understand how to buy a ticket on the subway to get from North Station to South Station. Fortunately a member of the staff came to our rescue. Had plenty of time to make the ‘Acela’ express from Boston to Washington DC via New York. An interesting train journey along the New England Coast, coming into NY and then through the rustbelt before travelling through the more picturesque Maryland. 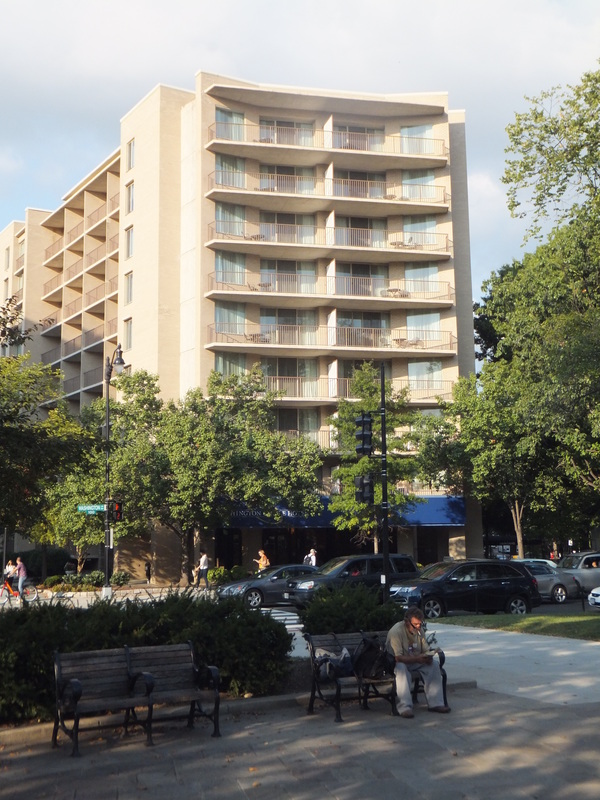 Arrived safely at our very comfortable hotel in Foggy Bottom. Set off on foot south from Washington Circle to the Lincoln Memorial. Washington is a very pleasant city! 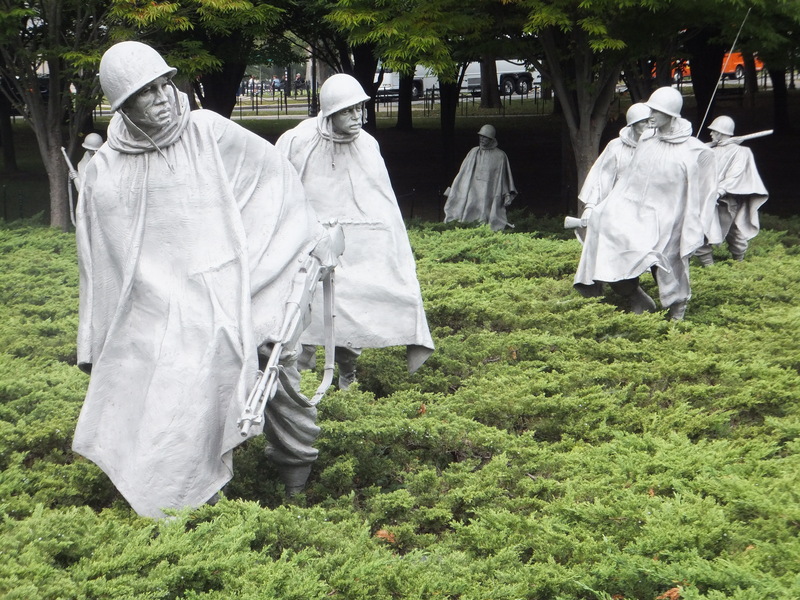 Looked at Lincolnt and then went on to view the Korean, Vietnam and WWII memorials. 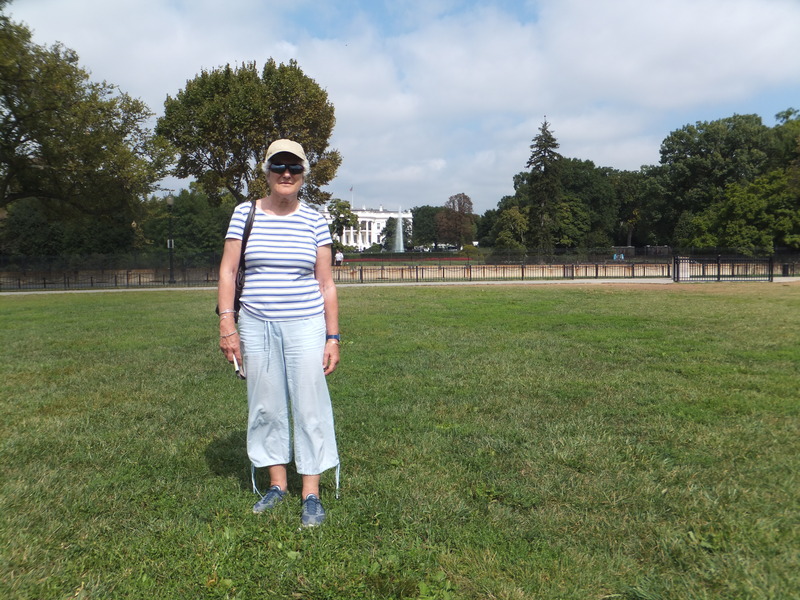 Arrived at the Washington Monument around midday on a lovely warm sunny day (by that time), and then walked up to the White House. As it was the day after the incident with the White House intruder, the Secret Service (you know they are Secret Service agents because their T shirts have it written across them – this seems funny to the Britons) had cordoned off the White House even further. Not a secret serviceman in sight! Managed to get a few good long distance shots on the camera. Later we walked into Georgetown and wandered around exploring the waterfront and the back streets. Set off on foot again, this time walking the full length of Pennsylvania Avenue to the Capitol, looking at all the government buildings along the way. Had lunch in the National Gallery and spent the afternoon looking at a special exhibition of Andrew Wyeth and another exploring the artistic collaboration between Degas and Mary Cassat. Then continued to look at the American, British and French galleries. Retired culturally exhausted, but hugely impressed by all the collections. Note: must return. Collected the hire car from Reagan National Airport and set off along Route 66 to Winchester Virginia. Drove around but didn’t get out of the car. Looked a pleasant enough place with some history to it. 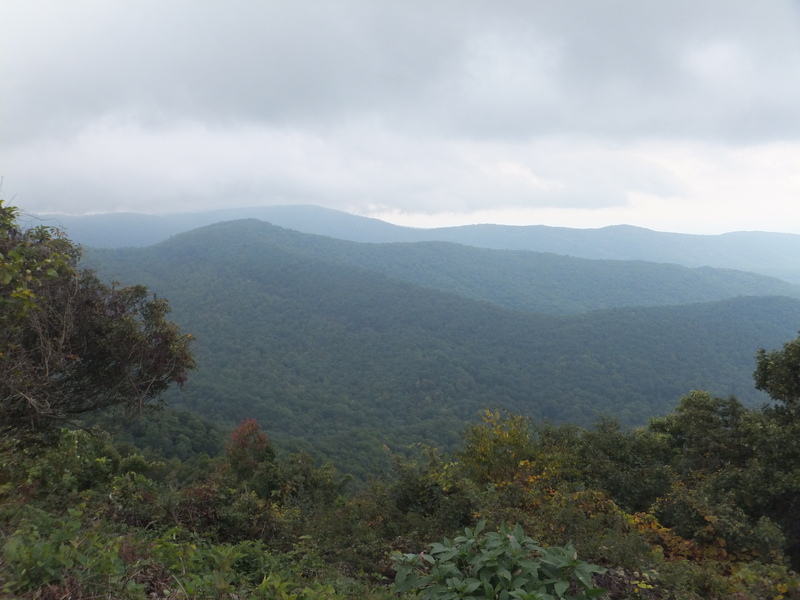 Then we headed for the northern end of the Shenandoah National Park and completed the full length of the Skyline Drive by mid-afternoon. As we were destined to be at our B&B accommodation at Mile 229 that evening we shortened our route by jumping off the Parkway at Waynesboro and taking the I81 south, and then getting on the Blue Ridge Mountain Parkway at Roanoke. A beautiful drive on a beautiful evening! We got there just before 8pm. We very much enjoyed our stay with Jim and Margaret at their spectacular and modern open plan log cabin. There were two other couples staying that night and we got on famously with them. Margaret served a gigantic southern cooked breakfast, but as we were in the ‘Bible Belt’, not until Jim had said grace. 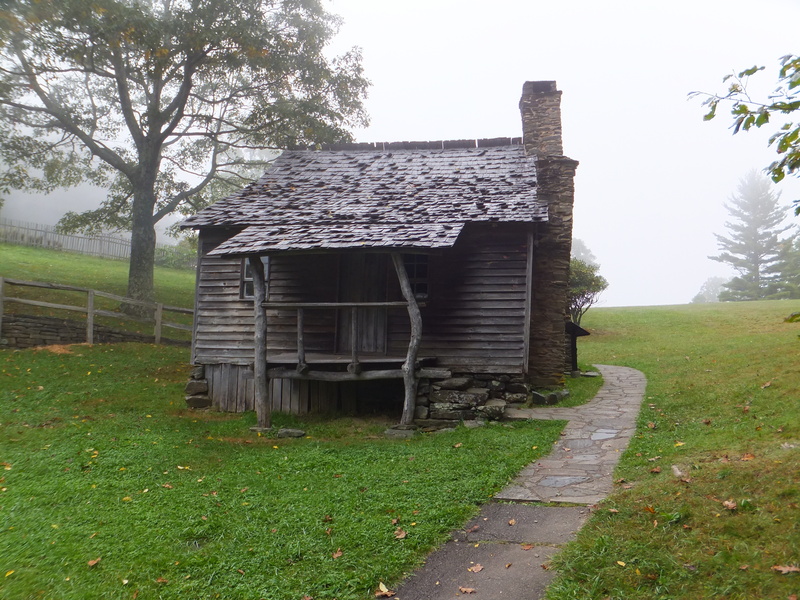 We continued along the Blue Ridge Parkway, first in the sunshine, then in cloud and finally in thick fog. 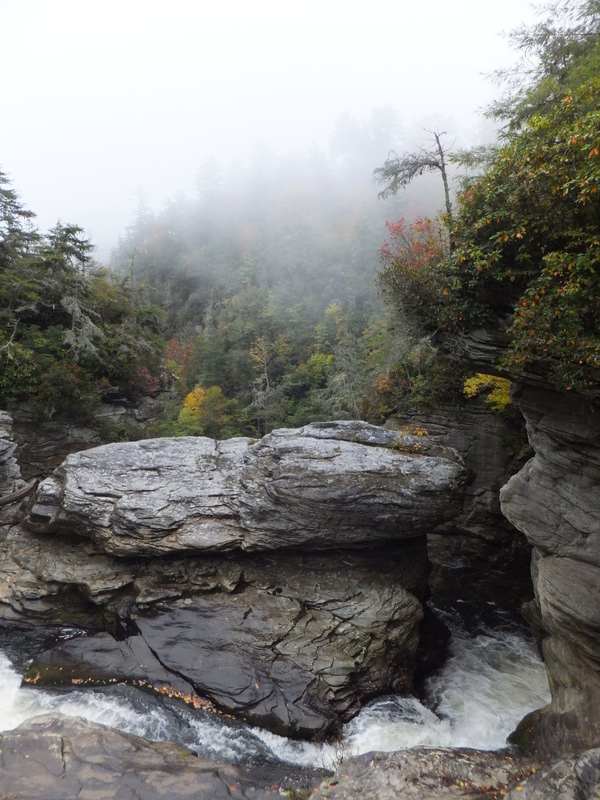 Quite an exhausting drive really, but we did manage to stop off for a short walk to view the Linville Falls along the way. Arrived at Trish’s around 7pm. Next time we will give ourselves more time for this drive. 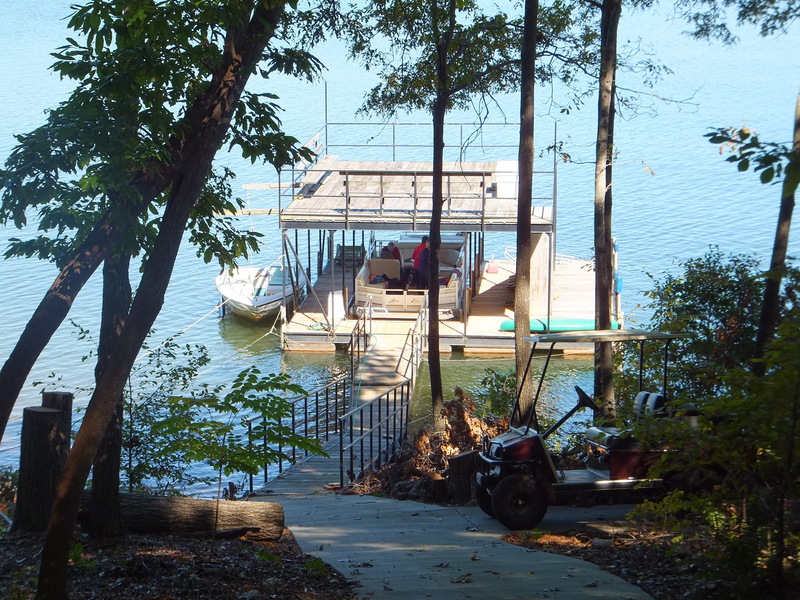 Spent a much needed quiet day with Trish and Chris in their fine house overlooking Hartwell Lake, upon which they took us on a tour in their pontoon boat in the afternoon. Went out for a ‘Mexican’ in the evening. No seafood!